Cambridge University Press, 9780521038386, 392pp. Was Old English metre really based on stress and rhythm? Do we really know that a particular glossed manuscript of a Latin curriculum author was used in an Anglo-Saxon classroom and, if so, how? How were disputes about bookland dealt with? What happened to the last male representative of the West Saxon royal line after the Norman Conquest? 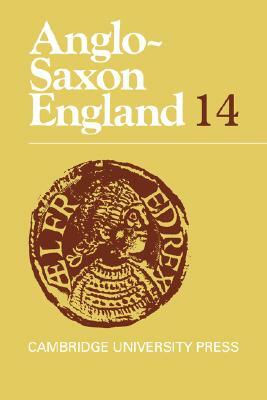 And what are the implications of the Taylors' great work on Anglo-Saxon architecture for related studies? These are among the challenging questions taken up in this book. The publication of findings concerning a striking sculptured stone unearthed at Repton and an interpretation of a panel on the Ruthwell Cross bring us close to some distinctive Anglo-Saxon ways of thinking. So do two source studies of vernacular prose, a demonstration of Aldhelm's interest in how a name is related to its referent, and a searching enquiry into early Anglo-Saxon kingship. Textual criticism and phonology are put to good use too. The usual comprehensive bibliography of the previous year's publications in all branches of Anglo-Saxon studies rounds off the book.